The non-gated communities of Royal Harbor, Oyster Bay and Golden Shores are located east and across Naples Bay from prestigious Old Naples, Aqualane Shores and Port Royal. Built from the 1960s on, many of the homes have been upgraded or torn down by the new owners and replaced by the homes of their dreams. 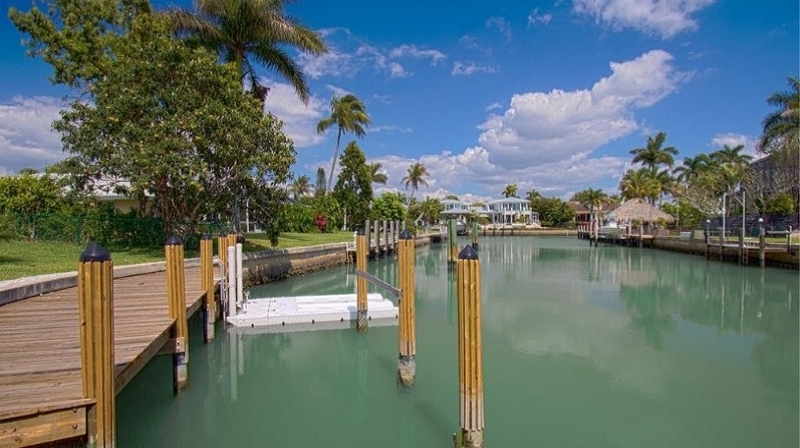 All three are boating communities where most of the homes, villas and condos have direct bridgeless access to Naples Bay and the Gulf of Mexico. Perfect for the power, sailing or fishing enthusiast, most of the canals support deep draft sail boats and larger vessels, while a few are limited to a shallow draft power or pontoon boat. Golden Shores comes first bordering Tamiami Trail to the north, Sandpiper Street to the east, and Oyster Bay to the south Here you will find a mix of single family homes, coach homes and condominiums, many with sparkling canal views and western sunset exposure. The single family homes range from 1,100 to 7,085 square feet with two to five bedrooms plus a den and a carport or a two or three car garage. The coach homes range from 2,500 to 2,900 square feet with two bedrooms pus a den to three bedrooms plus a den and a two car attached garage. The condos range from 975 to 1,530 square feet with two to three bedrooms and a carport or assigned parking. Directly south is the enclave of Oyster Bay which like Golden Shores contains a mix of single family homes, coach homes and condominiums. All are on a canal with most having great water views. The single family homes range from 1,144 to 4,600 square feet with two to four bedrooms and a one to four car garage or carport. The coach homes range from 1,108 to 2,144 square feet with two to three bedrooms plus a den and a one or two car attached garage. The verandas range from 1,111 to 2,136 square feet with two to three bedrooms plus a den and a one or two car detached garage. The condos range from 715 to 2,250 square feet with one to three bedrooms and a car carport or assigned parking. And last but not least comes Royal Harbor comprised of single family homes and a few condominiums. 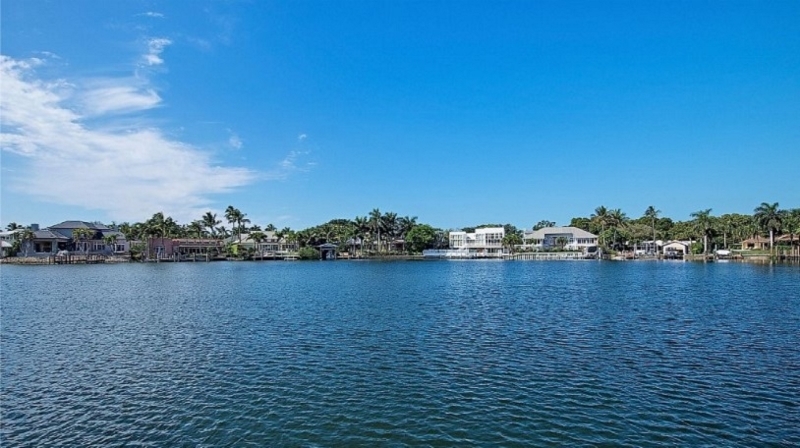 All of the single family homes are located on one of the many winding canals or directly on the bay. Most have been updated or replaced and just about all have pools and their own private boat docks. The single family homes range from 1,120 to 6,960 square feet with two to six bedrooms and a one to eight car garage or carport. The condos range from 1,062 to 1,430 square feet with one bedroom plus a den to two bedrooms and assigned parking. All three communities are appealing as they are a less expensive option for those who wish to live in a waterfront community without the exorbitantly high price tag. All are within the Naples city limits and are only minutes from the world class shops, restaurants and galleries on Fifth Avenue and Third Street South and Naples Pier with its beautiful white sugar sand beaches. 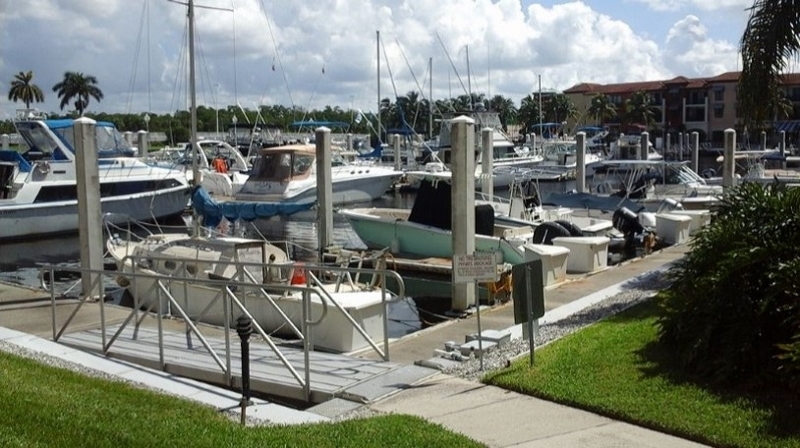 If you are looking for a condo, villa or home close to everything where you can enjoy the boating lifestyle, you will definitely want to consider Royal Harbor, Oyster Bay and Golden Shores.